When I hear a mention of North-East of India, an image of brightly coloured, handwoven textiles comes to mind. These brightly colourful shawls seen in just about every Indian army officers’ homes gave the rest of us, aka, the civilians a little peep into the textiles, colours and lives of the people in Nagaland. The shawls were just a view through a peephole into what Nagaland has to offer. Today, we are fortunate enough to bring to you magic from the North-East of India. Ikali has created ‘The Little Nagas’ to offer an insight into the world of beautiful tribes of this state. 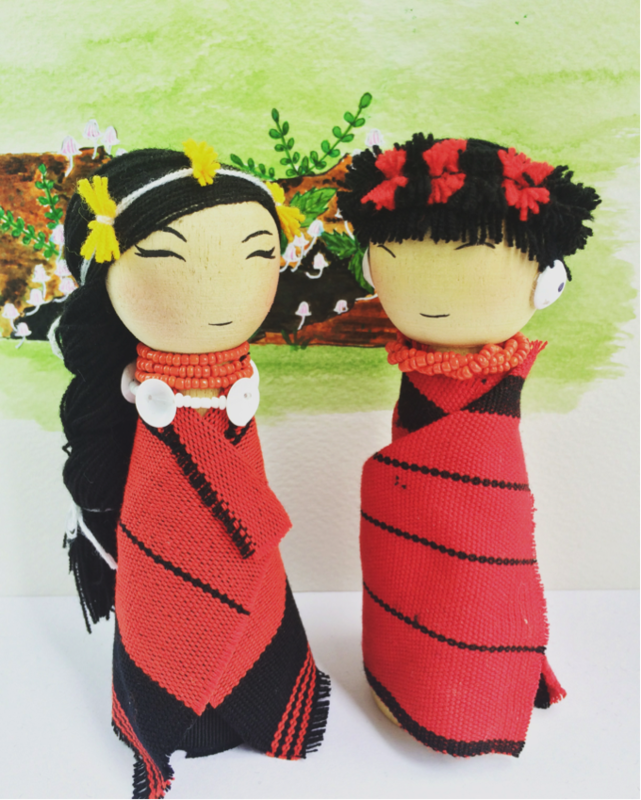 Ikali, a designer based out of Nagaland, creates little Naga dolls as souvenirs for the tourists who come exploring Nagaland. In the days gone by, it was not unusual for visitors to the state to simply return with a shawl or a jacket. 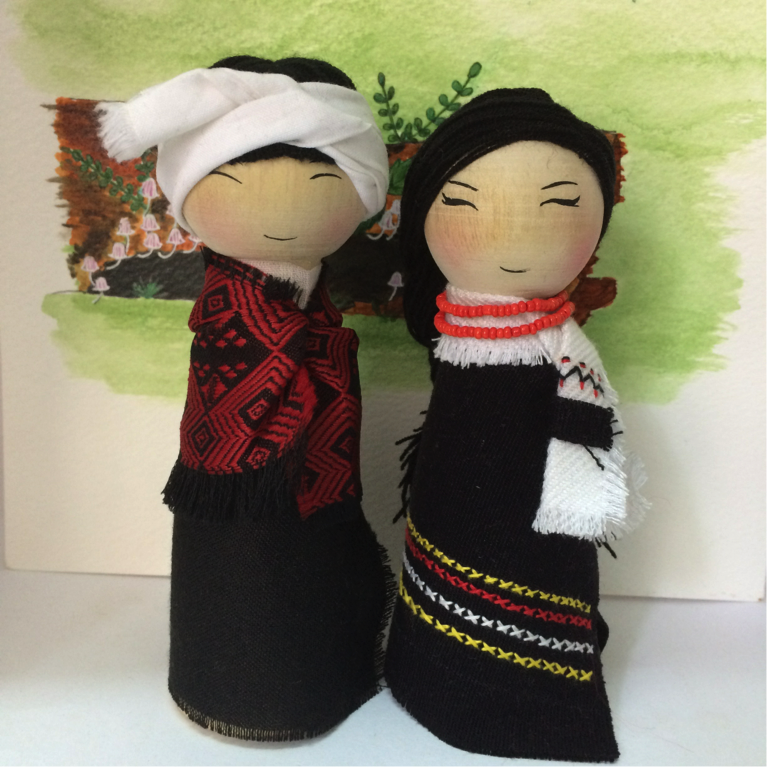 Today, however, Ikali provides tourists to Nagaland with a little symbol of their traditional dress, culture and tradition, something a tad bit different from a shawl…’The Little Nagas’. So, what are these little Nagas all about? 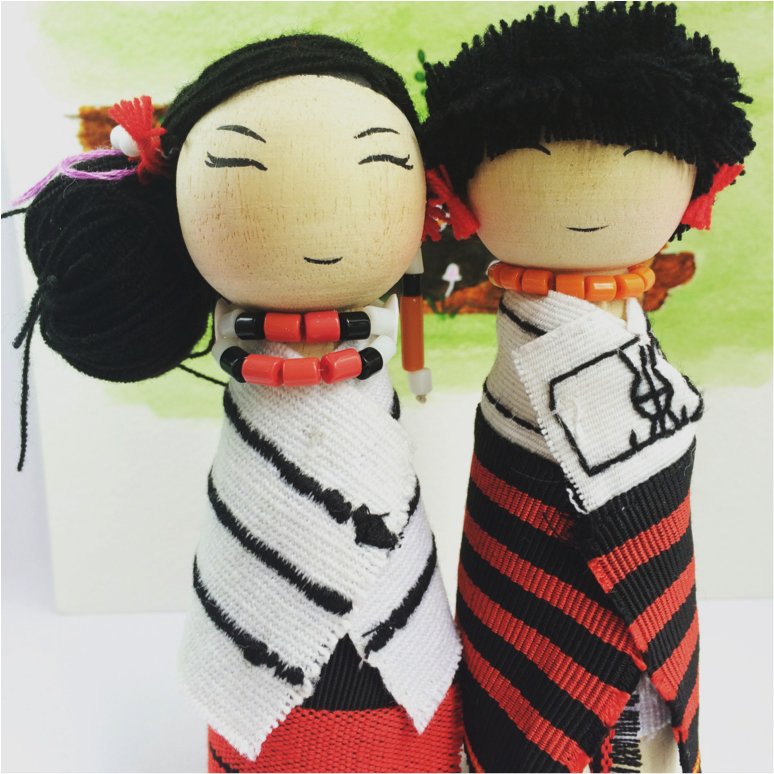 Ikali has created these little Nagas as miniature reproduction of the traditional dress for each of the sixteen tribes. 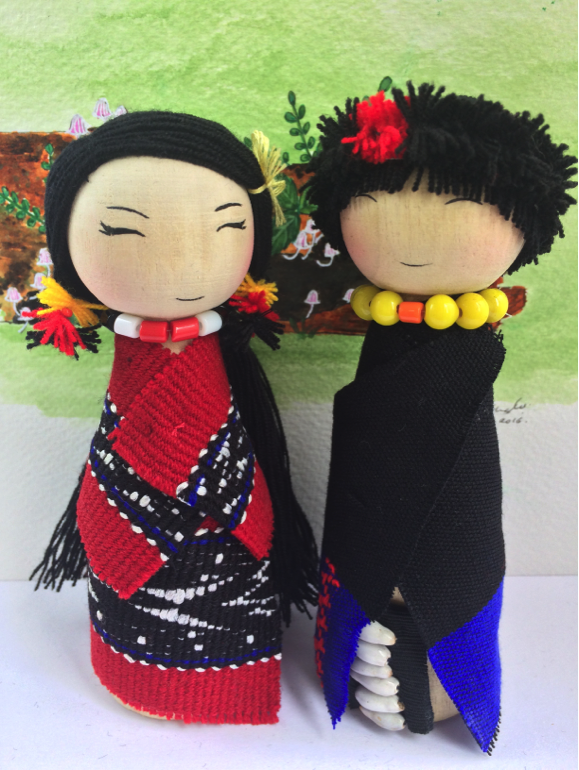 Each of these tribes have their unique style and each of the handcrafted doll is an effort to present to the world, these varied styles. ‘The Little Naga’ is made from wood and fine details are hand-painted while finishing. 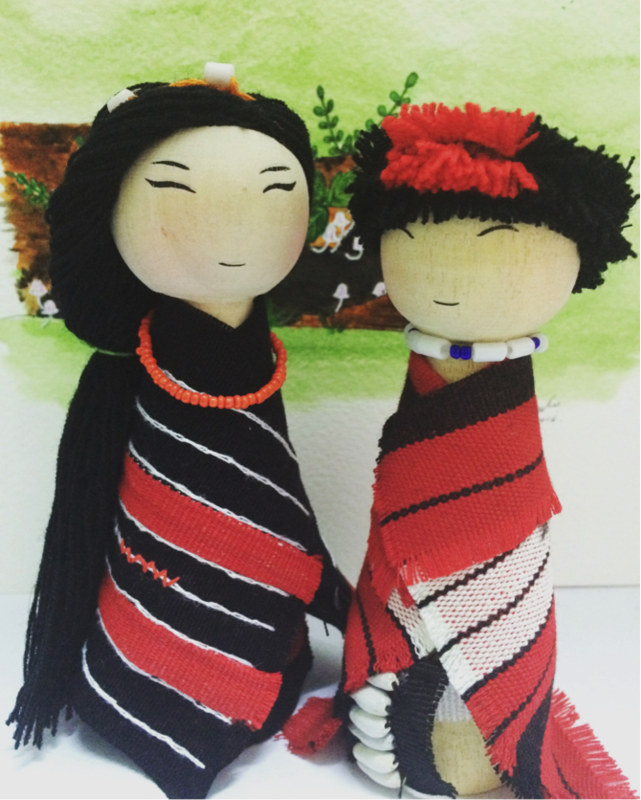 The textiles used for the dolls are woven in Nagaland on the traditional loin loom. Several variations exist for each of the sixteen tribes and Ikali has chosen a particular variation for each of ‘The Little Naga’ representing the tribe. 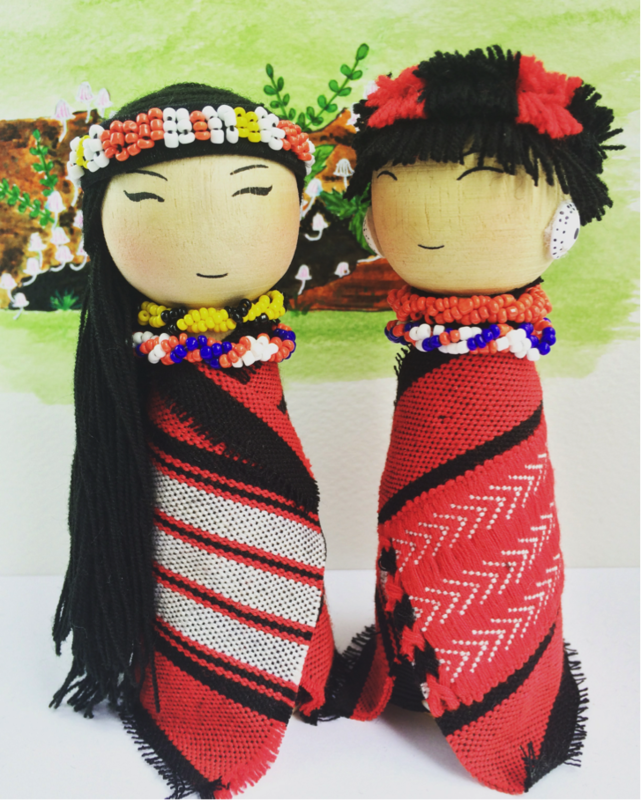 Each ‘the Little Naga’ doll represents one of the various tribes of Nagaland. To name a few, the Ao, Angami, Sumi, Lotha, Zeliang, Chakhesang, Khiamniungan, Phom, Konyak, Kuki, Sangtam, Chang, Rengma, Yimchunger, Pochury and Kachari . Ikali has captured the essence of these tribes in the form of thirteen tribal couples and a Sangtam tribal girl. An unique motif and stripe is what sets one tribe apart from the other, while the distinctive use of black, red and white unites them. ‘The Little Nagas’ can be seen in the finery of each of the tribes. Traditionally, the original accessories worn used cowries shells for detailing on shawls and ‘mekhelas’. Necklaces and bracelets used cornelian beads, ceramic beads, ivory, conch shell, brass and silver metal. Interestingly, even goat’s hair and orchid stems found use in accessorises for head gears and the earrings. 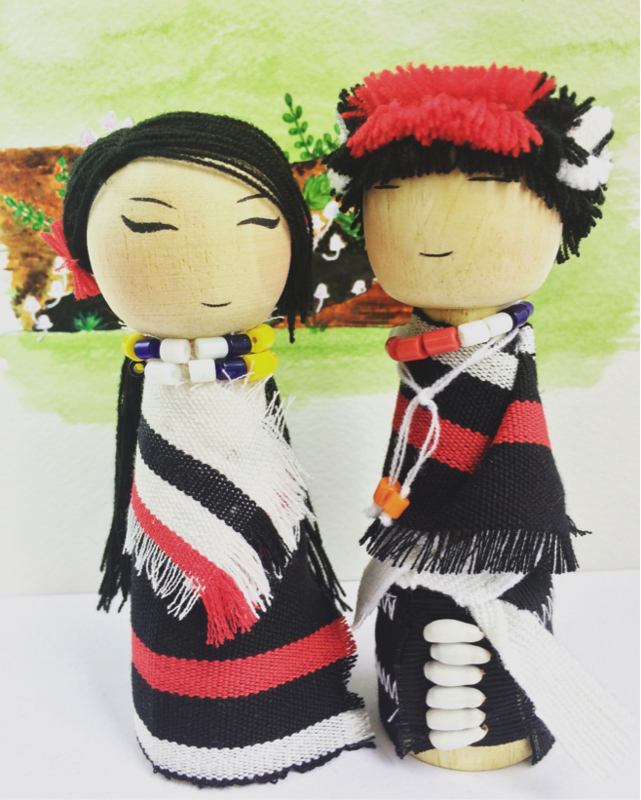 However, the dolls only use cowries shells (for the Sumi Girl Mekhela), ceramic beads (for all tribes) and cornelian beads (for the Ao girl necklace) . This is simply because the others aren’t available in smaller sizes, appropriate for the miniature dolls. 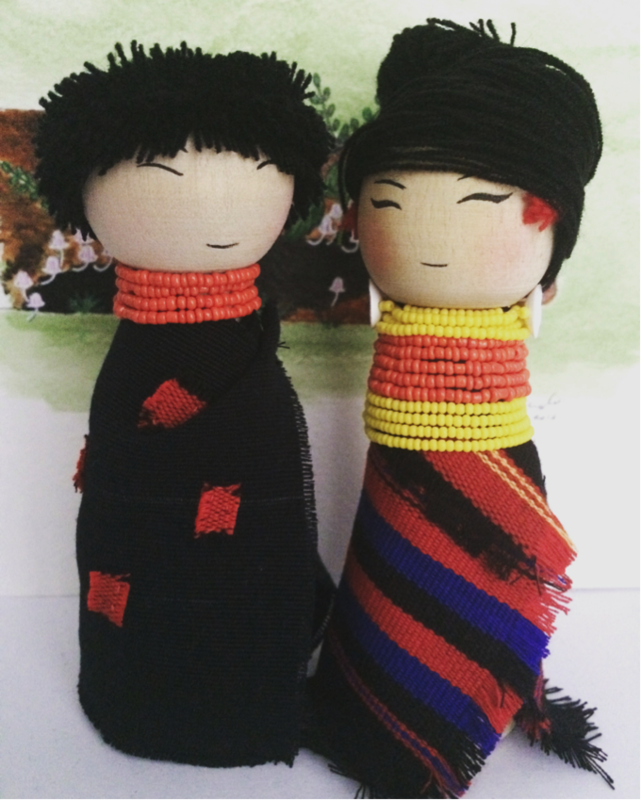 Hand-embroidered ‘mekhelas’ adorn the Sumi, Chang, Phom and Kuki girls to resemble the original woven dress, since the woven dress cannot be made to that size and scale. Where can you buy ‘The Little Nagas’ from? 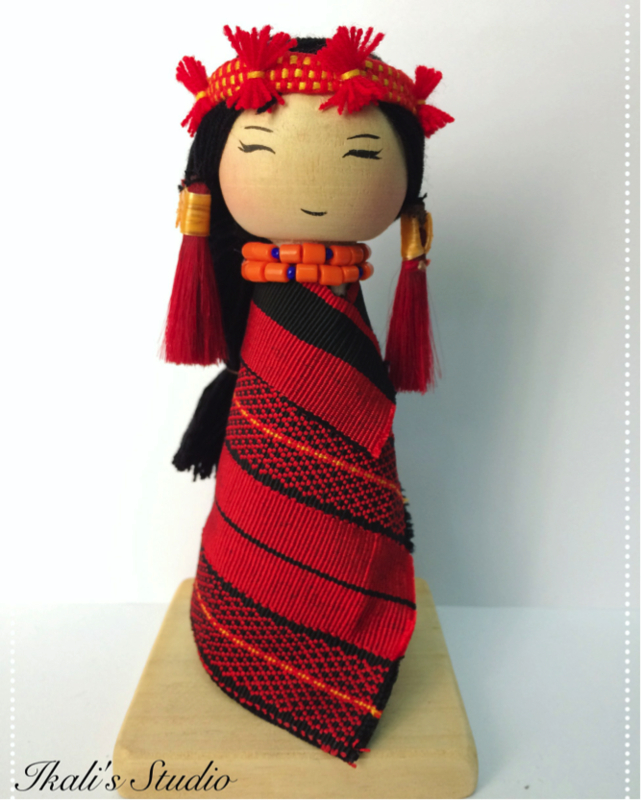 Bring home ‘The Little Naga’ for a little bit of Nagaland in your home. 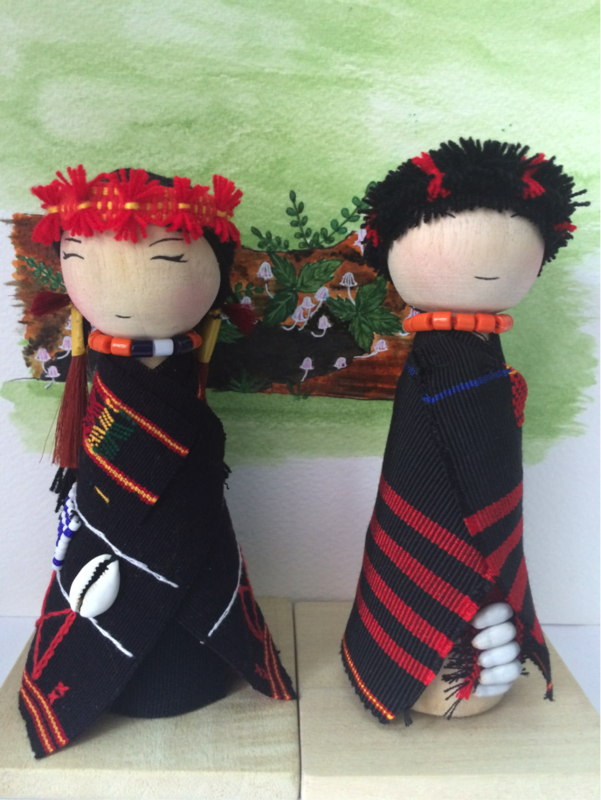 Accept and appreciate different cultures …Be Notjustashopper!